This is the latest version (2017/2018) of Sintron 3D glasses, released on mid Nov.of 2017, this version changes to a lighter (35g), the frame is made of ABS and PC material, low energy consumption, low carbon and environmental protection, and also with lower cost but without affecting the 3D effect compared to other version of glasses. This glasses is for Adult size, and will be compatible with 2014~2018 Sony/Panasonic/Samsung TVs and Epson RF Projectors, and is a design based on active shutter glasses, 3D TV. 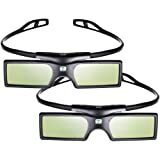 All the 3D glasses are brand new and high quality and we will try our best service to you. 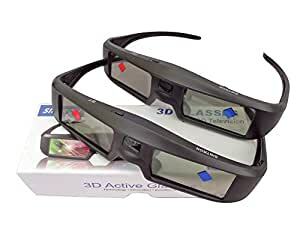 Watch your favorite movies in 3D with these 3D glasses, communicate wirelessly with your 3D panel, serving up a vivid, immersive 3D viewing experience at home. 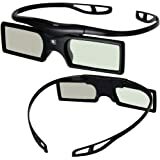 This single pair of glasses features USB rechargeable lithium-ion, offers a one-size-fits-all design, that are compatible with over 90% of Japanese Brand 3D Monitors. 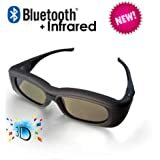 Delivers a true 3D experience - For watching your favorite movies in a new way.